Students established KUCR in 1965, through grassroots organizing, and the support of campus administration and Chancellor Hinderaker. Without warning or discussion, UCR administration is proposing to take away KUCR’s dedicated parking lot and turn the lawn between our two historic buildings into a paved road. The station's future has been in limbo since 2016 with the campus administration in regards to whether our space on campus will be either torn down, relocated, or rebuilt with little to no input from the station itself. KUCR is an invaluable non-commercial media outlet, that provides a critical service to Inland Southern California region. By putting my name here I am defending KUCR in expressing my support of UCR administration participating with the college radio station in negotiations around the space and possible relocation of KUCR, which have so far included little to no input from the station. Decisions have apparently been made to remove KUCR's designated parking, which is critical for student staff and volunteers, management, honorary guests, professors, UCR affiliates, and disabled folks to be able to maintain functional access to the station. 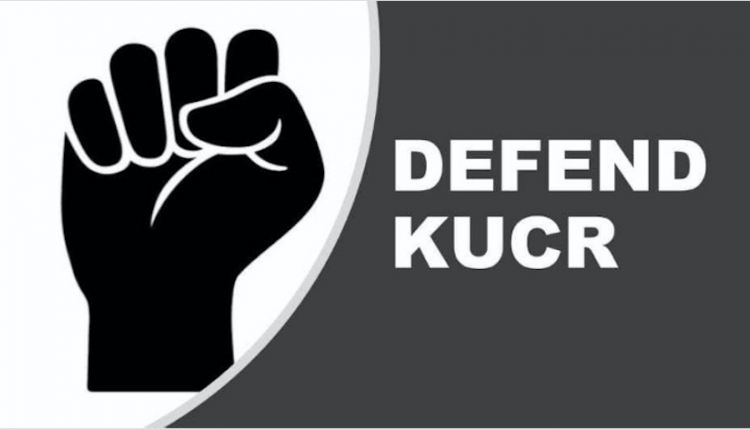 I support: KUCR parking to remain intact, negotiations between UCR administration and KUCR in good faith, and the assurance of the future of KUCR to be made in writing. The DEFEND KUCR petition to UCR Campus Administration was written by Emerald Fadeff and is in the category Students' Rights at GoPetition.